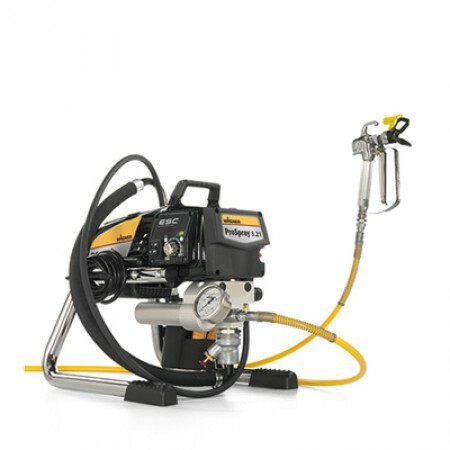 A compact solution for small Airless applications. The entry level class for the professional trade suited for virtually any indoor application with Airless gun or internally fed paint roller and also for painting jobs. ProSpray 3.21 offers great performance at an attractive price and is ideal for all beginners and professionals whose main tasks consist of spray-coating small areas. Max tip size - 0.023"